Gabriel Shear (John Travolta) and his beautiful partner Ginger (Halle Berry) lure Stanley Jobson (Hugh Jackman), one of the two best hackers on the planet and an ex-con busted for hacking, into an apparent cyber-heist by baiting him with the one thing he wants more than anything -- to be reunited with his daughter Holly, custody of whom he lost in a divorce. But once Stanley enters Gabriel's world, he realizes that nothing in this operation is what it seems and he has become a pawn in a plot that's a lot more sinister than a high-tech bank heist. 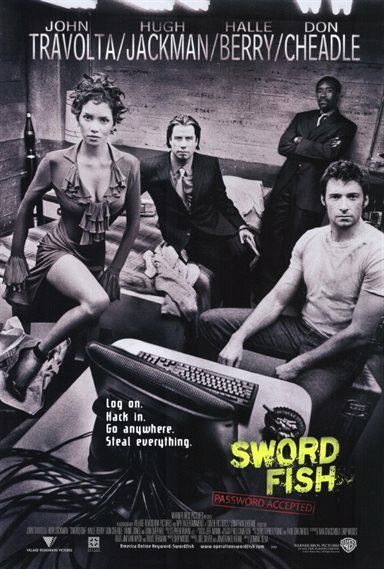 Download Swordfish in Digital HD from the iTunes store. Swordfish images are © Warner Bros.. All Rights Reserved.